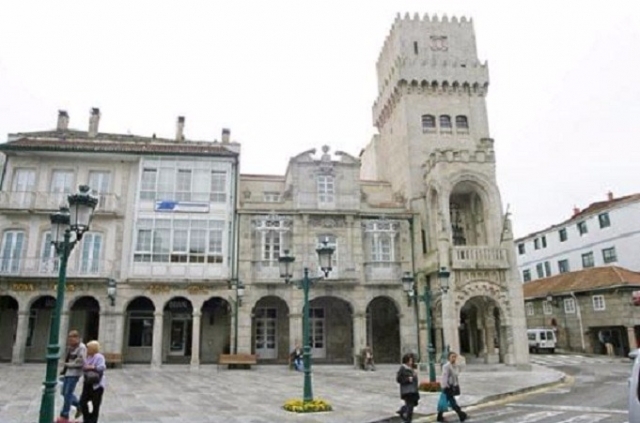 The Portuguese way enters Galicia on a high note, in the Majestic town of Tui. The first day of the journey combines beautiful stretches through forests but also involves a terrifying and endless journey through the middle of an industrial estate. Those who don’t wish to or, don’t have the strength to reach Mos, have the option of staying overnight in O Porriño. 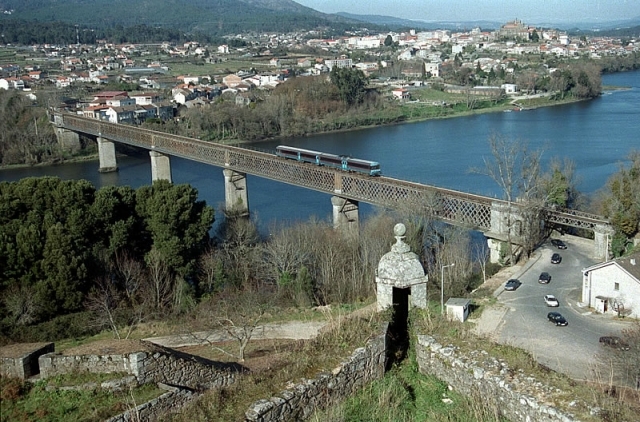 After crossing the Puente International (International Bridge), walkers take their first step in Galicia in the historic town of Tui, on the banks of the River Miño. This stretch of the Portuguese Way coincides with the Roman Road XIX. Now on the road, the Camino encounters the problem of double signposting and pilgrims are faced with the option of taking a turn off along a track to the right or continuing on asphalt. Both options are signposted. Pilgrims should continue for a long stretch on the right hand side of the PO-2502 road. This is a dangerous moment as pilgrims share the road with heavy traffic. Continuing the path, pilgrims reach A Madanela, a small hamlet in the parish of Ribadelouro (Tui). Afterwards, pilgrims cross the medieval bridge of Orbenlle over the river Louro; this is certainly not the cleanest part of the river. After the centre of Tui walkers reach the first fountain. In the hamlet of Orbenlle, now in the council of O Porriño, there is a restaurant and a bar. Just at the exit, at the beginning of a new forest stretch, the first glimpse of the huge industrial estate of A Gandaras can be seen, it absorbs the Camino on a straight stretch for more than three kilometres. From O Porriño to Mos there are six kilometres. This location is abandoned by continuing on the N-550 through a large shopping area. After the hamlet of Coto Filgueiras is passed. Once again on the N-550 pilgrims face one of the most dangerous points of the Jacobean route. Once this hazard has been passed, they will have no problem in reaching Mos (3 kilometres). Caution should be taken in the industrial estate situated before the entrance to O Porriño. Overall this is a comfortable stage. Attention should be paid at the road junctions. Some of the milestones are a little hidden by overgrown vegetation but in general the stage is well sign posted. 1 reviews Distance to Santiago: 115 km. 1 reviews Distance to Santiago: 101 km.